Browse our exquisite selection of steak recipes, complete with a rib-eye, chunky chips and mushrooms recipe from Josh Eggleton, Robert Thompson's steak and polenta chips recipe and a sublime chargrilled hanger steak recipe from Lisa Allen. A plethora of cuts and styles of cooking are represented here, from a super classic filet au poivre recipe to a sublime barbecued t-bone steak, served with oxtail macaroni cheese for a whole new level of indulgence. Don't miss out on Helen Graves' tips on making the perfect steak sandwich, served with green goddess mayo. 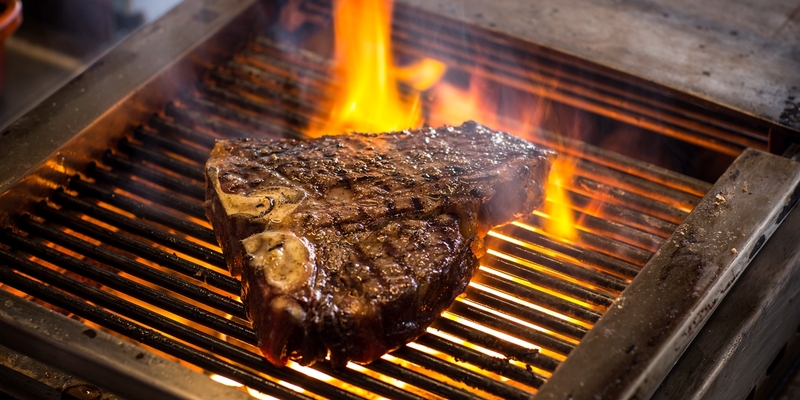 For tips and advice on how to cook steak visit our helpful article.